Several passages in the most recent editions of the Book of Mormon describe the path leading to eternal life as being “strait and narrow,” as in 1 Nephi 8:20. There is some uncertainty, however, about whether the word strait or straight was originally intended in these contexts. Not only are these words spelled differently, but they also have different definitions, with strait meaning “narrow” and straight meaning “not crooked.” Yet because these words are pronounced exactly the same, Joseph Smith’s scribes would likely not have known which word was intended whenever he dictated it during the translation of the Book of Mormon. Figure 2 Strait means “narrow”, such as when connecting two large bodies of water. Satellite image of the Strait of Gibraltar via Wikimedia Commons. In their article on this topic, Reynolds and Skousen argued that because strait means narrow, it seems unnecessarily redundant to describe a path as being both “strait” and “narrow.” They also found that there is at least one instance, in Alma 7:19–20, where we know that straight is the correct word because it is contrasted with the statement that the Lord “cannot walk in crooked paths.” For these and other reasons, the authors concluded that several instances of strait (“narrow”) in recent editions of the Book of Mormon should be replaced with straight (“not crooked”). 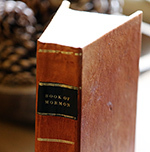 In the ten verses in the Book of Mormon where the words strai(gh)t and narrow occur in the same verse, there are compelling reasons in nine of them to read strait, while the tenth verse could take either reading. Reading strait in the expressions strait gate and narrow way and strait and narrow way preserves the poetic parallelism, accords with a biblical Hebrew analog, and is consistent within the Book of Mormon. Figure 3 Photo by Jonathan Klok on Unsplash. For instance, Elain S. Dalton has taught, “Sometimes as we walk life’s paths, we want to loiter in dangerous places, thinking that it is fun and thrilling and that we are in control. Sometimes we think we can live on the edge and still maintain our virtue. 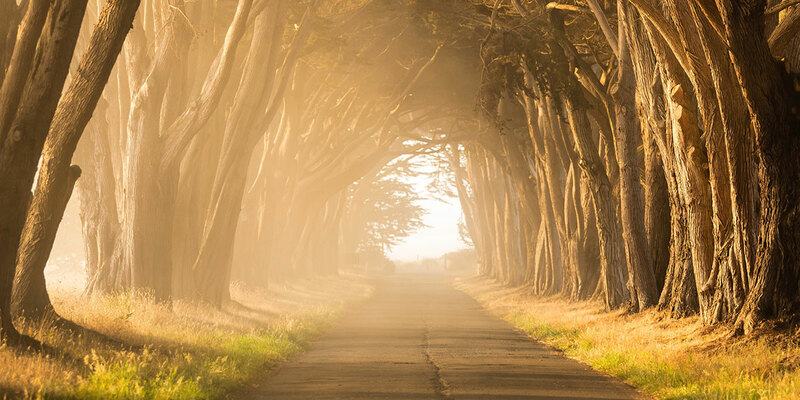 But that is a risky place to be.” Recognizing that the path to eternal life is both narrow and direct can help us understand why we should not only stay on it, but stay as close to its center as possible. For a broader range of meanings, see John W. Welch and Daniel B. McKinlay, “Getting Things Strai[gh]t,” in Reexploring the Book of Mormon: A Decade of New Research, ed. John W. Welch (Salt Lake City and Provo, UT: Deseret Book and FARMS, 1992), 260–262. See Noel B. Reynolds and Royal Skousen, “Was the Path Nephi Saw ‘Strait and Narrow’ or ‘Straight and Narrow’?” Journal of Book of Mormon Studies 10, no. 2 (2001): 30–31. Reynolds and Skousen, “The Path Nephi Saw,” 30. Reynolds and Skousen, “The Path Nephi Saw,” 30–33, 70. Paul Y. Hoskisson, “Straightening Things Out: The Use of Strait and Straight in the Book of Mormon,” Journal of Book of Mormon Studies 12, no. 2 (2003): 66. Hoskisson, “Straightening Things Out,” 71. Welch, “Straight (Not Strait) and Narrow,” 25. Welch and McKinlay, “Getting Things Strai[gh]t,” 262. Elaine S. Dalton, “Stay on the Path,” Ensign, May 2007, online at lds.org. One way to ensure that we stay on the strai[gh]t and narrow path is to give strict heed the word of God, which is represented in the scriptures as a lamp and an iron rod. As explained by Elder Joseph B. Wirthlin, “Nephi taught that by clinging to the word of God, as though it be a handrail, we would be able to avoid temptations and not lose our way in darkness. Thus, we would remain on the narrow path. Using another apt symbol, the Psalmist wrote: ‘Thy word is a lamp unto my feet, and a light unto my path’ (Psalm 119:105). God’s word, then, is the light for our path, the iron rod or railing to which we can cling. It provides the limiting lines that we must not cross if we are to reach our destination.” Joseph B. Wirthlin, “The Straight and Narrow Way,” Ensign, November 1990, online at lds.org. This article addresses the possibility that there can be more gleaned from a passage of scripture than the casual eye can see. This particular phrase can indicate that based on cross referencing it with other council from the Lord in other scriptures that the path to Eternal Life is a narrow one and that the gate to enter there in is "Strait". For example: "Strait is the gate and narrow the way that leads to eternal life". While in other passages the path is referred to as "straight" as in straight as a arrow. While both interpretations have slightly different meaning they both can be applied to the same passage with the same intent. Both are valid expressions of the path that we follow. It is direct and charted and that a pilot or chart is need to guide us through it "not deviating to the left nor to the right ..." this does not mean that it cannot be straight as an arrow either. As we navigate the paths through life unto the goal of eternal life we are given the opportunity to choose as we travel. Not like being on a train ride were the destination is known when we enter the train car for seating with a ticket. True this instance we may choose to get off the train at a different stop but the train will continue to and possibly beyond the destination for which we purchased our ticket. Our life is more like a boat on an angry sea were we survive better if we have a chart to follow and seamanship to help us manage the stormy and sometimes violent seas of life. Better it be that we have an experienced pilot to guide us through the narrow points and passages that could spell disaster if we are too proud to accept the help from the pilot and the experienced seaman that have sailed the stormy seas before us. Both Straight and Strait have their meaning and purpose. That of helping us to understand how to return to our Father in Heaven and gain Life Eternal. As the greatest of all the gifts he can give we should follow his council to obtain it.